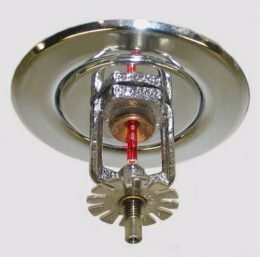 It is recommended that Dry Fire Sprinkler Systems Inspections be performed when temperatures are 40º F or above. 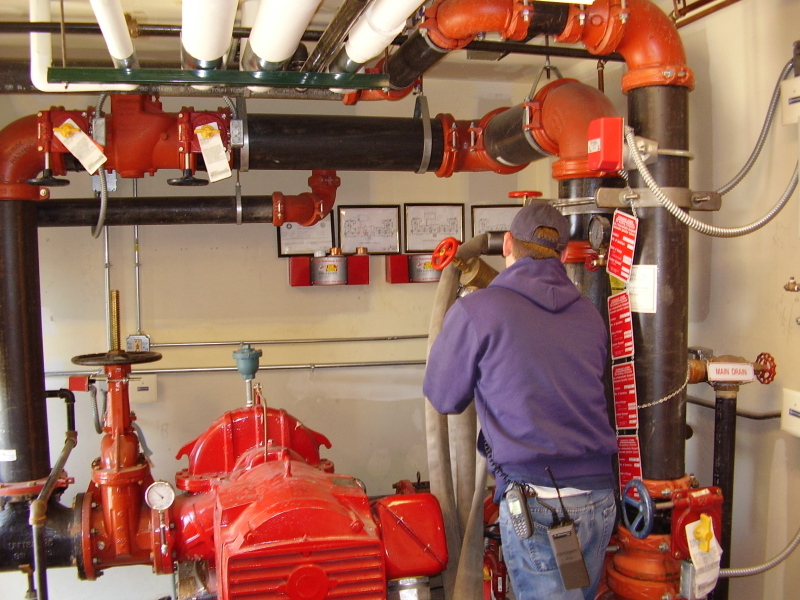 Our Technician will test and inspect each Dry Fire Sprinkler system. This service will include a partial trip test annually and a full flow trip test once every 3 years. All alarm devices will be tested for proper operation and all low point drains will be drained. 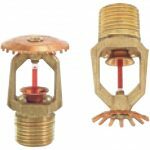 All sprinkler heads will be checked to assure proper type, placement and coverage. Additionally, we will check for damaged, out of date or painted heads. A main drain test will be performed, with static and residual pressures recorded on the Certificate of Inspection. Our technician will flush the main drain and Inspector’s test valve, exercise and lubricate control valves. 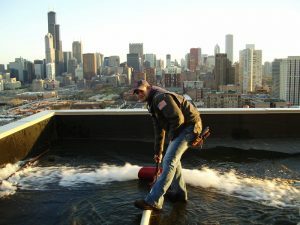 Upon completion of this inspection, a Fire Sprinkler Certificate of Inspection will be sent to you. 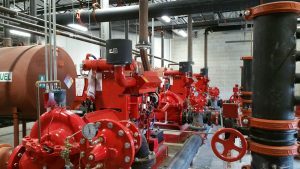 This service work meets NFPA 25 requirements for Annual Inspection of Dry Fire Sprinkler System. 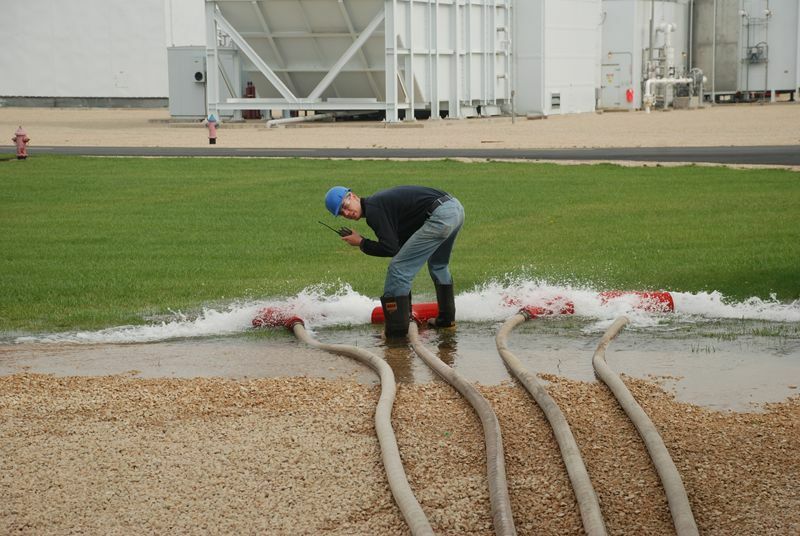 Our technician will check the sprinkler heads to assure proper type, placement and coverage. Additionally, we will check for damaged, out of date or painted heads. A main drain test will be performed, with static and residual pressures recorded on the Certificate of Inspection. Our technician will flush the main drain and Inspector’s test valve, exercise and lubricate control valves. Upon completion of this inspection, a Fire Sprinkler Certificate of Inspection will be sent to you. 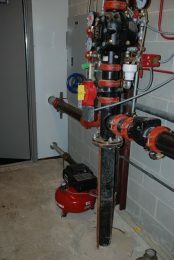 This service work meets NFPA 25 requirements for Annual Inspection of Wet Fire Sprinkler System. Our technician will take a small sample from multiple locations on the system piping and test the specific gravity of the solution to determine the effective freeze and burst points. 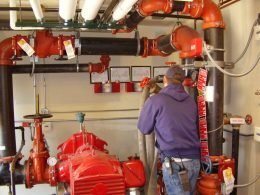 Fox Valley Fire & Safety provides the labor and material required to conduct a flow test on the standpipe at your facility. 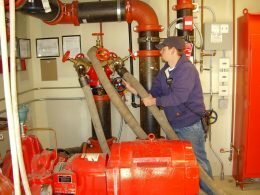 Our technician will flow water through the standpipe and take readings to assure the standpipe reaches the required 500 gpm flow rate. Upon completion of this test, your standpipe is code compliant for the period of five years. 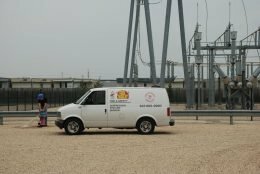 Our technician will disconnect the piping at various locations of the system piping, conduct a visual inspection and check for corrosion and debris. Upon completion, a Certificate will be sent to you. 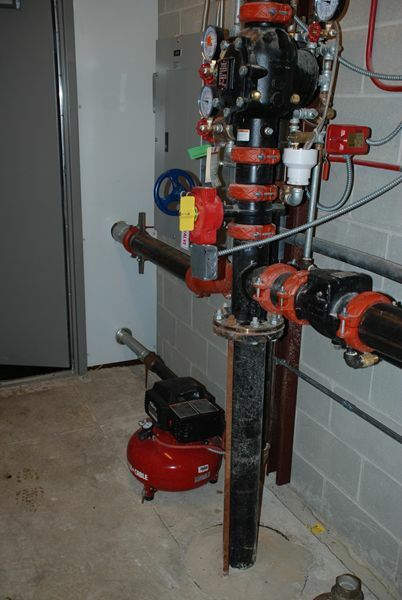 This service meets NFPA 25 requirements for 5 year obstruction investigation. 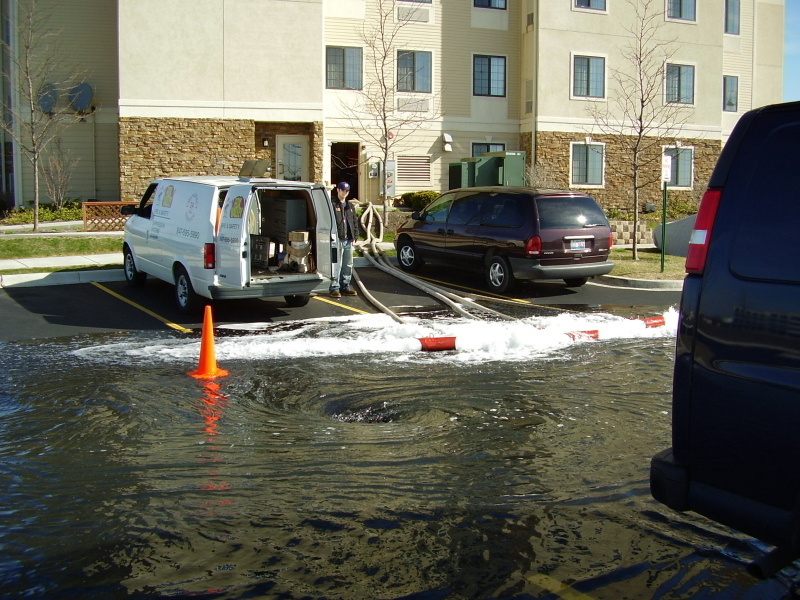 Our technician will flush and lubricate each fire hydrant and record static and reserved pressures, as well as water flow rate. An Inspection Report, listing each hydrant and deficiencies found, if any, will be provided upon completion of this work. Fox Valley Fire & Safety provides the labor and materials required to conduct a weekly churn test, without the water flowing. Our technician will record pressure at the discharge side and the suction side of the pump, record the rpm reading and insure that the casing release valve operates properly. 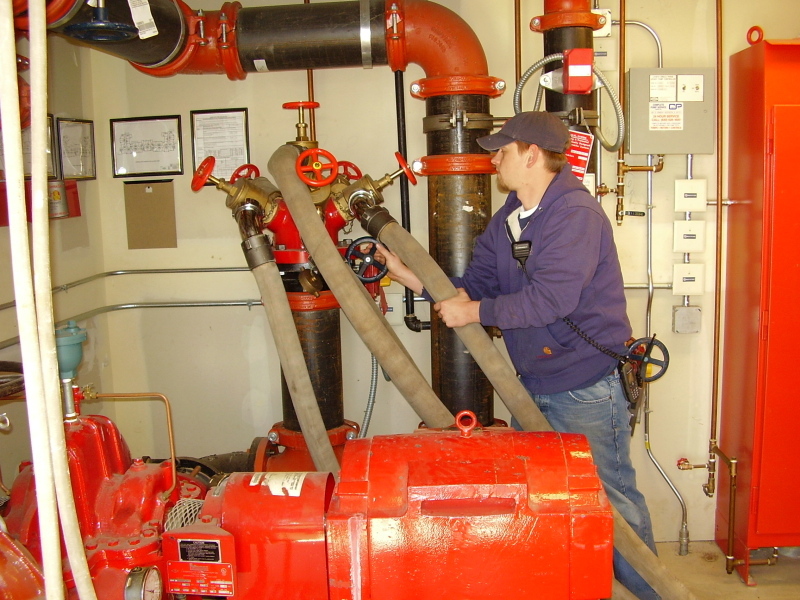 This service work meets with NFPA 25 requirements for weekly churn testing of electric fire pumps. Fox Valley Fire & Safety provides the labor and material required to conduct a monthly inspection of the diesel fire pump, including fuel levels, batteries. 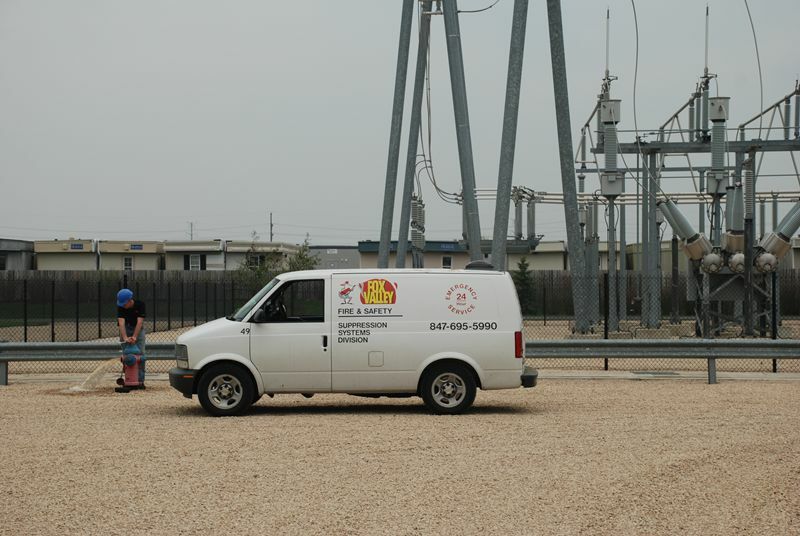 This service work meets NFPA 25 and NFPA 20 requirements for Monthly Inspection of Diesel Fire Pump. 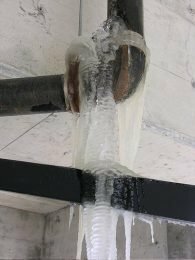 Sprinkler pipe corrosion is a serious threat for organizations that rely on dry, pre-action, and wet sprinkler systems to protect their facilities. 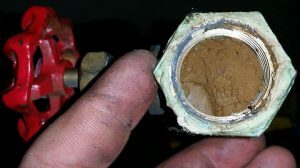 Internal corrosion, resulting in the formation of localized pinholes, leads to costly damage from leaks and catastrophic losses when compromised sprinkler systems are rendered inoperable during a fire. 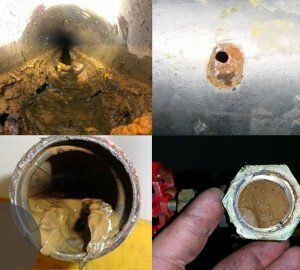 Fox Valley Fire & Safety can help protect and extend the life of your fire sprinkler piping with a full line up of corrosion inhibiting solutions. Backflow Preventers are very important health and safety devices. 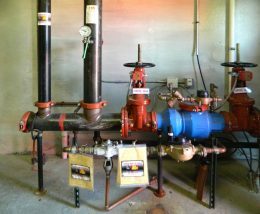 These devices prevent the water in your sprinkler system, irrigation systems, ice machines, boilers, or other non-potable water systems from getting back into the domestic water supply. Code requires annual inspection and service of these critical devices. 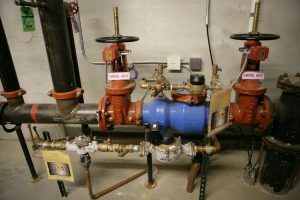 Is Your Sprinkler System Operating Safely?